It’s funny how some people perceive the Martial Arts. 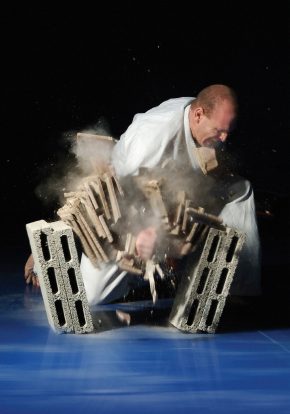 But how do you perceive your Martial Arts training? Is it only useful in your mind? Or is your training a real value to you? I am not a big fan of breaking boards since I have never met a board I didn’t like. That doesn’t mean there isn’t some merit in learning to break stuff. Breaking can help a student learn to overcome their minds desire to protect itself from sudden impacts. Breaking can help a student understand the physics behind the art. Breaking can help a student realize their inner strength in addition to their physical abilities. While the masses at large may joke at what seems to be a useless and showy desire to break stuff. Let them laugh. One note about breaking stuff. Breaking can help a student build their confidence however this I feel is a bad reason to break stuff. 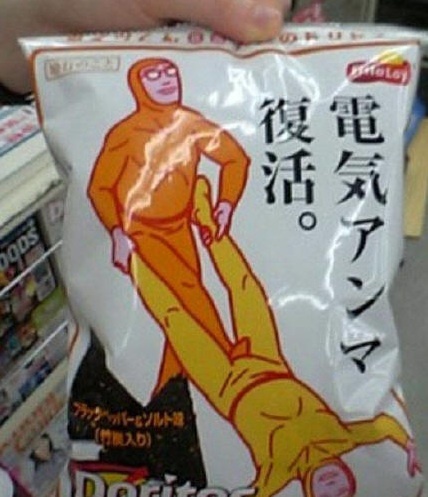 Doritos really supports self-defense and personal protection and seen here on their Asian packaging which demonstrates useful Self-defense techniques! Nothing stops an attack like a good crotch stomping! Why can’t we buy these in America?? On your Birthday, I celebrate the gift you give me, yourself. Because without you, I know I wouldn’t be as good a person. It is pretty easy to become complacent during the course of your life and this comic reminded me of just that fact! Here is the question: Are you giving Life your all? When you are training, how do you feel when you are done? Did you show up or just sign up? Oh, and don’t forget to wash your Gi after each class! No one likes the smelly guy! 56 Men signed the Declaration of Independence, have you ever wondered what happened to them? It’s time we remember that PATRIOTISM is NOT a sin and the Fourth of July has nothing to do with beer, picnics, and baseball games. If you are not sure about the ideals this holiday embodies then ask someone from a country like China, Iran or North Korea how their system works for them.